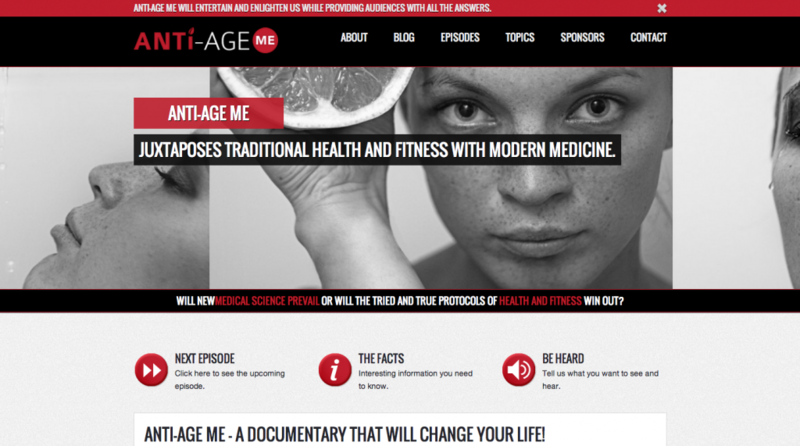 Anti-Age Me is a feature length documentary that takes a first hand look at fitness, health, wellness, anti-aging, and prosperity as a choice. This interactive documentary is ground breaking as it will be shaped by YOU the viewer. STEVEN J. WONG embarks on a 4,000 km journey from Toronto, Ontario, Canada in search of the fountain of youth. After two years of research, STEVEN believes he has found the solution – the modern day “magic pill” which claims to reverse all the signs of aging, return him to the optimal levels equivalent to a healthy 25-year old and put him in the best shape of his life. Once reserved only for pro athletes, movie stars and the extremely wealthy, Hormone Replacement Therapy (HRT) and Testosterone Replacement Therapy (TRT) are starting to become more mainstream. STEVEN tracks down one of world’s leading doctors in age management/HRT – Dr. MIKE CARRAGHER from West Hollywood, California – to convince the doctor to take him on as a candidate for medically supervised HRT/TRT. Dr. CARRAGHER calls STEVEN with the results from his extensive blood work; he has good news and bad news. The good news is that STEVEN qualifies for HRT due to very low levels of IGF-1 (the indirect marker for Human Growth Hormone) and that there’s renewed hope suggesting that his symptoms can be cured. The bad news is that his cholesterol levels are dangerously high. Shattered by this news, STEVEN’s focus, priorities and expectations change from aesthetics and fitness to long-term health and well-being. The doctor reassures him that the program will also treat his cholesterol problem and STEVEN is now more motivated than ever to undergo treatment. This EIGHT year (2012-2020) documentary film will also educate audiences by exploring the latest in medical technologies, pro-active healthcare, innovations in exercise protocols and nutrition while debunking myths. Will new medical science prevail or will the tried and true protocols of health and fitness still prove to be the winning method of the 21st century? ANTI-AGE ME will entertain and enlighten while providing audiences with the life altering answers they’ve been searching for, in a manner that’s never been attempted before in the history of film!